There are no comments for Hang Loose. Click here to post the first comment. 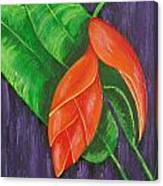 Costa Rica has many types of heliconia, which can be found growing wild in the rainforest as well as in cultivated gardens. 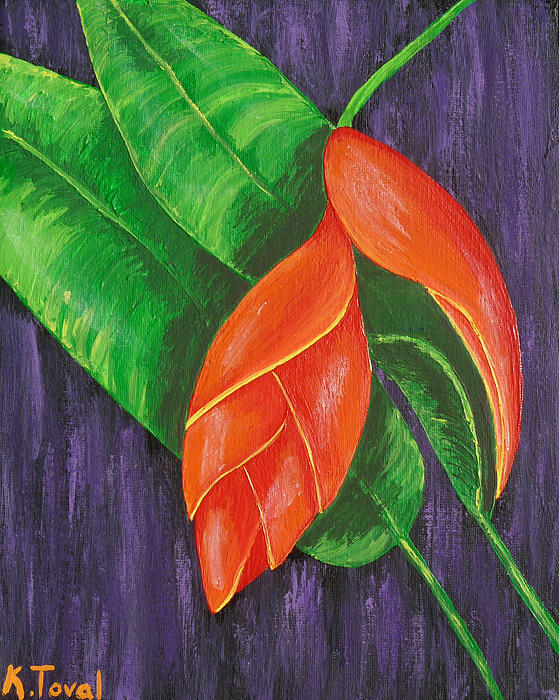 Kathleen Toval is an artist in Manuel Antonio, Costa Rica who creates original fine art with vibrant colors found in Costa Rica's wildlife. 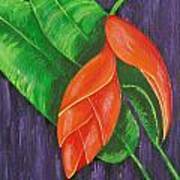 Her inspiration is drawn from her love of nature, which is evident in the subjects she paints. Since the time she was a young child she has felt a special connection to nature and followed her dream to live in a country where its beauty is her muse. 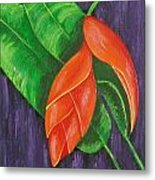 From the early morning butterflies and exotic flowers to her frequent encounters with colorful toucans, frogs and more. She takes great joy in knowing that the person who buys or recieves a piece of her art, will be able to enjoy a little piece of paradise.